Now available in mobile [iPhone/iPad] and desktop versions [Mac OS, Windows], including instant data sync between mobile/desktop versions. (Separate purchase required for each OS platform). 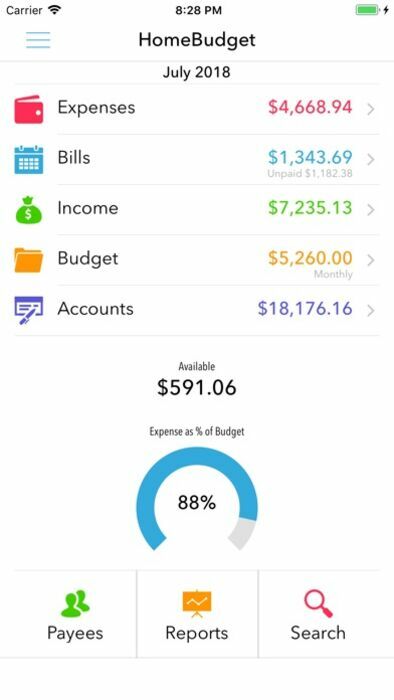 A lite version of HomeBudget is available under the free applications category. Give it a try. Contact support@anishu.com, if you need help. We have no way of contacting you if you post an issue as a review. 1. Integrated set of features. 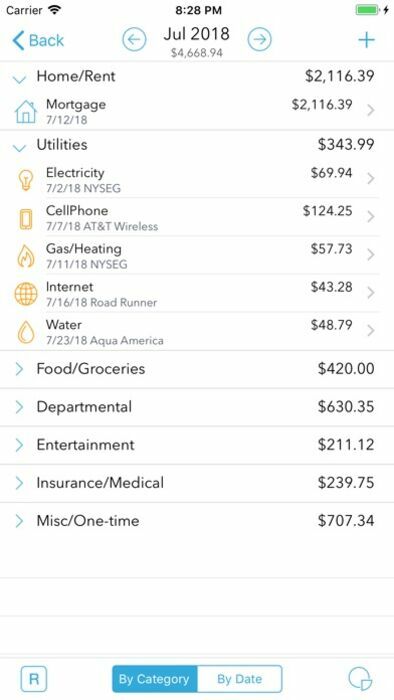 The features within HomeBudget are well integrated such that a bill can become an expense (when you pay for it) and also adjust the account balance at the same time. 2. Family sync. 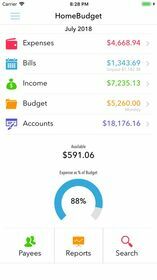 HomeBudget includes Family Sync, an advanced feature that allows a group of devices within the household to exchange expense and income information, and work together within a single budget. 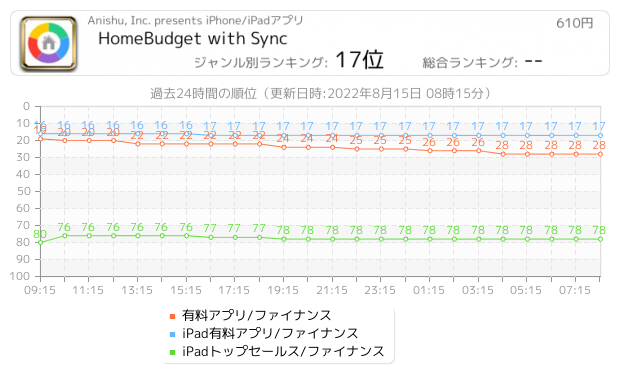 Once setup, the devices sync with each other automatically over the air. 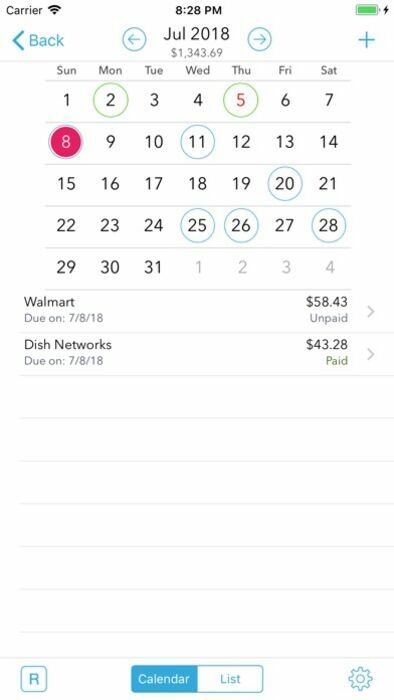 Family Sync works across all features including Bills and Accounts. Please refer to the Family Sync Quick Start guide at http://www.anishu.com for information on configuring Family Sync. - Support for Payees, and track payments by Payee. - Set a budget, and track expenses at the category/sub-category level. 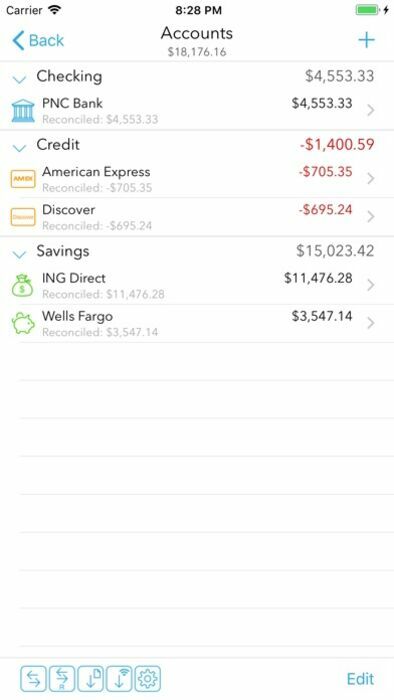 - Support for Accounts such as Checking, Savings, Credit, Debit, Cash, etc. - View transactions, and do transfer between accounts. 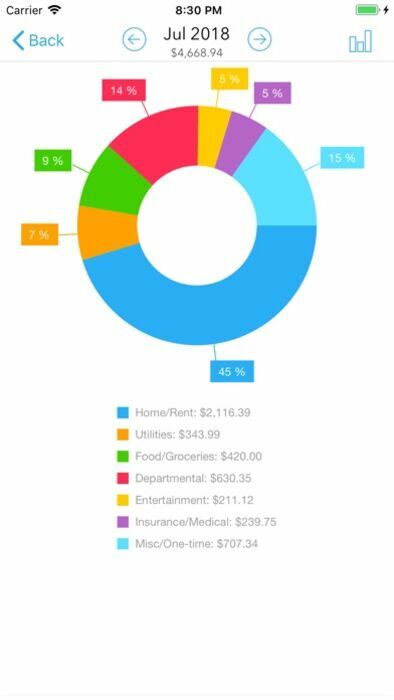 - Pie/Bar charts for expense break-down (Available in the Expenses screen). Visit http://www.anishu.com to see more screenshots, and to download the user guide (PDF, 42 pages).